What is Green Algae ? 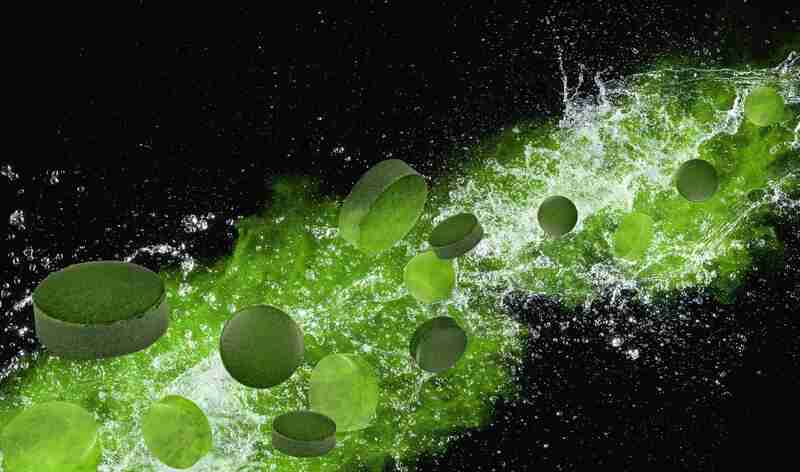 Spirulina is deemed by NASA as a “nutritional superfood.” But what exactly is it? Spirulina is a blue-green algae eaten by humans and other animals. Technically, it isn’t a plant. It’s a bacterium, making it one the most primitive species on the Earth. Spirulina is also “photosynthetic”, meaning that it can produce its own food using the sun light’s just like plants do. There are two main species: Arthrospria platensis and Arthrospira maxima. Even though spirulina is nutritionally dense, it is hard to consume large quantities of it due to its price, taste, and the amount normally needed in food. As a result, it is typically sold as a dietary supplement. It can found in capsule, pill, or powder form. Because of its recent surge in popularity, scientists have been curious to investigate its effects on biomarkers related to cardiovascular health, such as triglycerides and cholesterol, and exercise fatigue also known as overtraining. Key Takeaways: Spirulina is a common blue-green algae that is nutritionally dense. Recently, scientists have conducted research looking at the health effects of spirulina when consumed in small doses. They have examined its impact on biomarkers such as triglycerides and cholesterol. Before we can examine the research, we need to know what we need to understand the role and clinical importance of fat in the body. A lot of recent research has investigated the impact of spirulina on substances called lipids (which are commonly as “fats”). Lipids are a diverse group of comments that have “non-polar” character. This means that they repel polar molecules, such as water and ammonia, and will not mix with substances composed of these polar molecules. LDL transports cholesterol produced by your liver and cells throughout your body. Unlike HDL, LDL molecules move slowly through the bloodstream and may be transformed by oxidizing agents known as free radicals. Once oxidized, LDL can easily burrow itself into the walls of your arteries and slow down blood flow. This triggers an inflammatory response by white blood cells in the immune system called macrophages which eat up the LDL. Elevated levels of LDL cholesterol are associated with an increased risk of cardiovascular diseases such as stroke and diabetes. 7,8 Evidence also suggests that decreasing blood levels of LDL-C reduces the risk of CVD. 9 Thus, it is important to regularly monitor your LDL-C levels and use the proper interventions to lower its levels. Key Takeaways: Lipids are crucial to many important functions within the body. They come in main forms- triglycerides and cholesterol. Elevated levels of triglycerides and cholesterol attached to Low-density lipoprotein (LDL) are associated with increased risk of cardiovascular disease and other unhealthy conditions. High levels of cholesterol attached to high-density lipoprotein (HDL) are associated with reduced risk of cardiovascular disease. Does Spirulina Optimize Your Lipids? 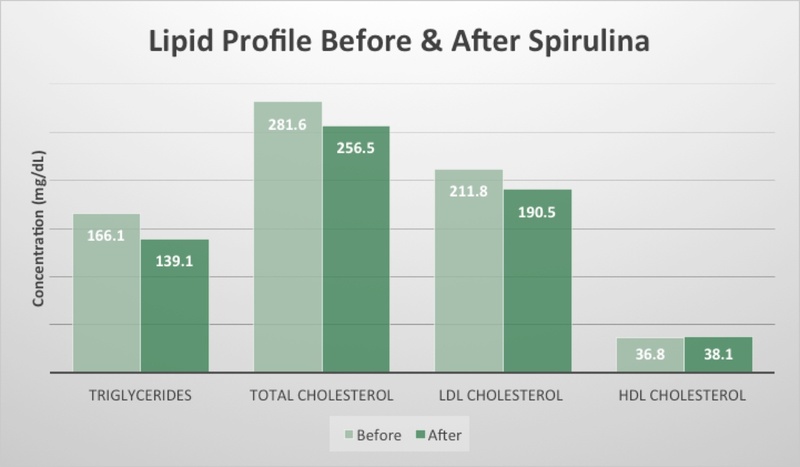 The highest-quality research on spirulina’s impact in the human body has looked at how it affects triglycerides and cholesterol (specifically LDL). 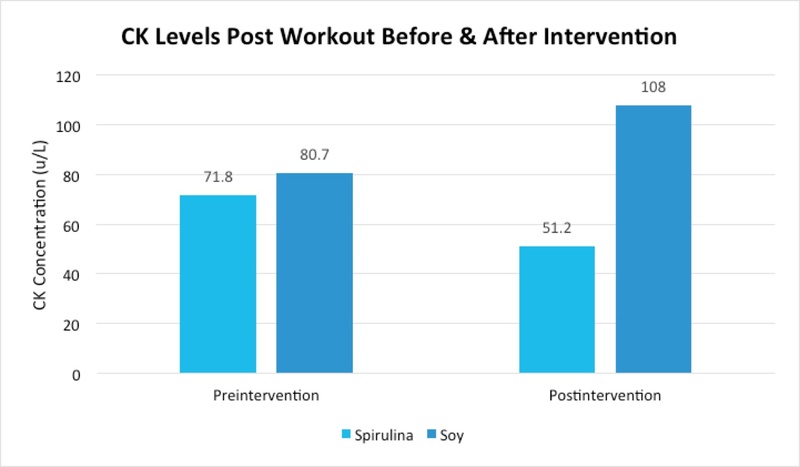 In a recent intervention study from 2007 by Torres-Duran et al., researchers in Mexico recruited 36 subjects (16 men and 20 women) and had them take 4.5g of spirulina supplement per day for 6 weeks. The subjects were Mexican, aged 18-65, and had no history of cardiovascular diseases or diabetes. Additionally, they did not take any medications that modified their levels of triglycerides, cholesterol, blood sugar, or insulin. After the intervention, the researchers took blood samples of the subjects and observed significant differences in their triglycerides, total cholesterol, and hdl-cholesterol. More specifically, triglycerides in the blood decreased from an average of 233.7 mg/dL to 167.7 mg/dL, representing a 28.2% decrease; total cholesterol decreased from an average of 181.7 mg/dL to 163.5 mg/dL, representing a 10.0% decrease; LDL cholesterol decreased 16.5% from 103 mg/dL to 86 mg/dL; and HDL cholesterol increased from an average of 43.5 mg/dL to an average of 50.0 mg/dL, representing 12.6% increase. 10 All of these changes have a positive impact on cardiovascular health. Furthermore, the number people in healthy clinical zones for lipids increased. Before the intervention, 21 subjects (about 58.3%) had triglyceride levels below 200 mg/dL. 10 After the intervention, 28 subjects (about 77.8%) had triglyceride levels below 200 mg/dL. 10 Similarly, while 26 subjects (78.8%) had total cholesterol below 200 mg/dL before the intervention, 31 subjects (86.1%) had total cholesterol below 200 mg/dL. 10 It is important to note that these zones did not account for individual demographics, lifestyle habits, and optimal vs. acceptable- which we all factor in our InsideTracker analysis. Key Takeaways: Taking spirulina at a moderate dose (4.5 g/day) significantly lowers levels of triglycerides. Additionally, it also lowers total cholesterol, LDL-cholesterol, and blood pressure to a reasonable extent while slightly increasing heart-healthy HDL-cholesterol. Recommendation: If your triglyceride levels and total cholesterol levels are elevated to unhealthy levels, consider taking 4.5 g of spirulina per day. Use your InsideTracker analysis to monitor the effects of spirulina on your lipids based on your specific demographic and lifestyle factors. In a Greek study, researchers recruited 52 subjects (32 men and 20 women) and provided them with 1 gram of spirulina per day for 12 weeks. The subjects were all of Cretan descent and were 37 years to 61 year in age with a median of 47. They all had elevated levels of lipids (dyslipidemia), 67.3% were overweight, and 75% of them were of “moderate risk” for cardiovascular diseases. However, they had no history of diabetes, hypertension, or cardiovascular and renal diseases. Additionally, they were not consuming any drugs or supplements that affect levels of lipids. Finally, it is important to note that while the decrease in triglycerides in this study was substantial, it was not as pronounced as those observed in the previous study by Torres-Duran et al. This can perhaps be explained by the fact that the daily dosage in this study was less than 25% of that by Torres-Durran et al and the fact that the subjects in that study had a much higher average level of triglycerides before the intervention. Key Takeaways: Supplementation with spirulina at a low dose of 1.0 grams/day produces favorable changes to triglycerides, total cholesterol, and LDL cholesterol. People with high or borderline high levels of triglycerides are more likely to experience decreases in triglyceride levels. Additionally, men may experience greater reduction in LDL cholesterol than women. Finally, increased dosage leads to greater changes in one’s lipid profile. 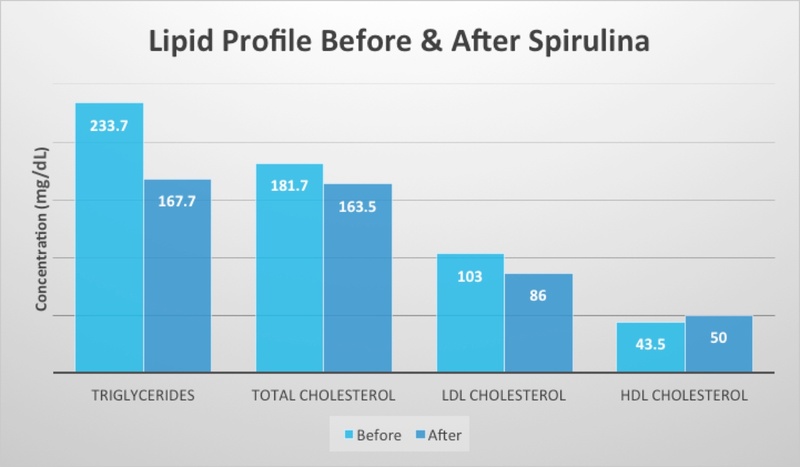 Recommendation: If you have elevated levels of triglycerides, cholesterol, or LDL cholesterol, consult with your doctor or InsideTracker results to see which dosage of spirulina is appropriate for you. Does Spirulina Help Lipid Levels in Athletes? The research above shows that spirulina helps lower triglycerides and optimize cholesterol levels in moderately-healthy, middle-aged subjects with elevated levels of triglycerides. However, is spirulina a valuable tool for lipid optimization in young, fit subjects? A 2011 study sought to provide insight to this question. Researchers recruited 41 young volunteer runner age 10-26 years (with a median of 15.7 years). All of them were recreational athletes that had undergone personal training for at least a year. They consumed 5g of spirulina supplement for 15 days. To measure the effects of spirulina, researchers had the subjects abstain from exercise to consume a meal of high fat content (52.3%) and measured their levels of triglycerides and cholesterol 1.5, 3.0, and 4.5 hours after the fatty meal. Collectively, these findings suggest that spirulina helps lower levels of triglycerides in people with already optimal or near optimal levels of triglycerides. It is important to note that while athletes and people who participate in regular exercise have lower levels of triglycerides, we at InsideTracker frequently see well-regarded athletes with high levels of triglycerides. 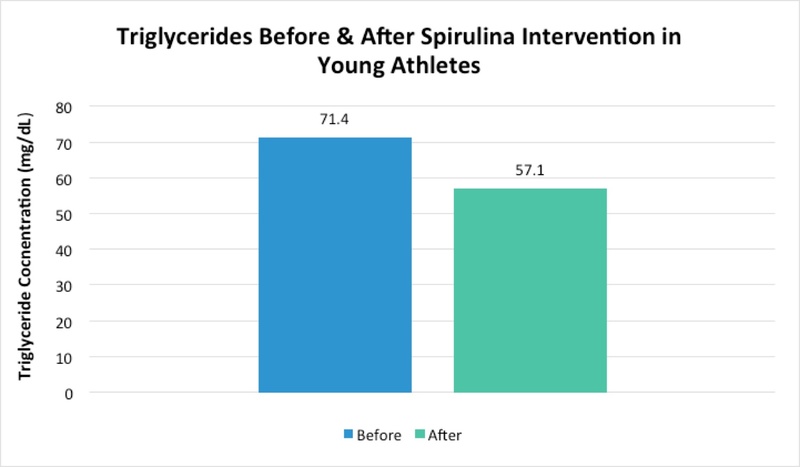 Thus, spirulina may prove particularly helpful to these athletes who already have elevated levels of triglycerides. Key Takeaways: Spirulina is helpful in lowering levels of lipids in fit, young individuals even with already low levels of triglycerides. It has a little to no effect on total cholesterol and HDL cholesterol in this population. Recommendation: If you are an athlete testing high for triglycerides, consider using 5g of spirulina. Additionally, if you are modifying your diet and feel that your triglyceride levels may increase, consider taking 5g of spirulina. The highest-quality studies indicates that spirulina affects key components of your lipid profile such as triglycerides, total cholesterol, and LDL cholesterol. Additional studies conducted on human subjects- while not as strong- suggest that spirulina may benefit your body in a variety of other ways. Below we document the research and encourage you to safely experiment with spirulina to see if it positively impacts your other biomarkers. When the researchers compared the two groups after the intervention, they noted that the time to fatigue after the 2 hour run was significantly longer in the group that took spirulina supplementation (2.70 minutes) than in the placebo group (2.05 minutes). 16 Additionally, ingestion of spirulina decreased the rate of carbohydrate oxidation by 10.3% and increased the fat oxidation rate by 10.9% during the 2 hour run when compared with the subjects in the placebo trial. 16 Both of these figures suggest that subjects in the spirulina group had lower rates of fatigue and muscle stress. Additionally, indicators such as oxidized GSH and TBARS were elevated in the placebo group 1-hour after exercise but not in the spirulina group. 16 Because of these findings, the researchers stated that “spirulina supplementation induced a significant increase in exercise performance and fat oxidation, and GSH concentration and attenuated the exercise-induced increase in lipid peroxidation.” 16 Because of the association between fatigue and oxidative indicators such as GSH with concentration of CRP, this might also result in the decrease of CRP levels if yours are elevated. Another study conducted by Taiwanese researchers in 2006 also indicates that spirulina supplementation may also help to reduce overtraining. Researchers recruited 16 students and placed them into two separate groups. The first group of eight (5 women and 3 women) consumed 7.5 grams of spirulina per day for 3 weeks. Their average age was 20 years and BMI 22.7. The second group of eight (also 5 women and 3 men) consumed 7.5 grams of soy supplement per day for 3 weeks and served as the placebo. Their average age was 21.5 years and BMI 20.9. In order to measure overtraining, researchers took blood samples from subjects after exhaustive treadmill exercise prior to the intervention and after the 3-week intervention. They assessed the blood for key measures of overtraining stress such as malondialdehyde (MDA), superoxide dismutase (SOD), and the biomarker creatine kinase (CK)-a key feature in InsideTracker’s Fitness, Performance, and Ultimate panels. Key Takeaways: Spirulina may play a role in reducing fatigue and overtraining during exercise. This is evidenced by studies that show a reduction in key biomarkers related to fatigue and breakdown, such as CK. Given spirulina’s benefits in optimizing levels of triglycerides and LDL cholesterol in the body, how does it impact your levels of blood glucose- your body’s primary source of energy? In a two month study, researchers recruited 25 normal-weight subjects with glucose greater than 125 mg/dL. 18 The subjects were then divided into two groups. The first group of 10 (6 men, 4 women) took a placebo of 2g/day. They had an average age of 54.6 years, BMI of 25.1, and fasting blood glucose of 164.3 mg/dL. The second group of 15 (9 men, 6 women) took 2g/day of spirulina supplementation. They had an average age of 53.8 years, BMI of 25.2, and fasting blood glucose of 161.7 mg/dL. It is important to put these findings in context. First, the study was conducted on middle-aged, type II diabetes. More research needs to be done on people who don’t have type II diabetes but have elevated blood sugar (generally in the 75 mg/dL to 125 mg/dL range). That being said, if your levels of blood glucose show up high, experiment with spirulina and see if it affects these levels. Key Takeaways: Spirulina supplementation (2g/day) proves to be an effective mechanism in lowering high levels of blood glucose in middle-aged type II diabetics that are otherwise healthy. More research is needed to assesses the effects on lowering blood glucose in non-diabetics. Recommendations: If you have high levels of blood glucose, consider taking spirulina supplementation of 2 grams/day and track your results with InsideTracker blood analysis. In a 2008 study, researchers recruited a total of 129 patients ranged 19 to 49 with a history of allergic rhinitis. These patients were divided into two groups. The first of 85 patients (35 males and 50 females) had an average age of 30.1 years and took 2 grams of spirulina per day for 6 months. The second group of 44 patients (19 males and 25 females) had a mean age of 29.9 years and took 2 grams of placebo per day for 6 months. After evaluating the qualitative and quantitative findings, the researchers noted that “spirulina consumption significantly improved the symptoms and physical findings compared with placebo including nasal discharge, sneezing, nasal congestion and itching.” 19 This suggests that spirulina may play a role in reducing inflammation, as evidenced be reduced levels of biomarkers such as hs-CRP and white blood cell count. Key Takeaways: Spirulina reduces symptoms of inflammation in people with allergies. Recommendation: If you have elevated levels of inflammation, consider taking spirulina and monitor regularly with InsideTracker to see if it impacts biomarkers associated with inflammation such as white blood cell count. So, how do you know if spirulina is the right choice for your health? First, purchase a well-regarded supplement, such as Energy Bits or Hawaiian Spirulina Pacifica. Then, use InsideTracker to regularly check if supplementation with a reputable brand affects your biomarkers. Does it lower your triglycerides? Is it helping you preventing overtraining, as evidenced by lower levels of CK and CRP? Is it increasing your levels of HDL cholesterol? The research says it might. Now, it’s up to you to see what affect this interesting supplement has on YOUR body, performance, and overall health. Click below to take the plunge. 1. Khan, Zakir, Pratiksha Bhadouria, and P. S. Bisen. 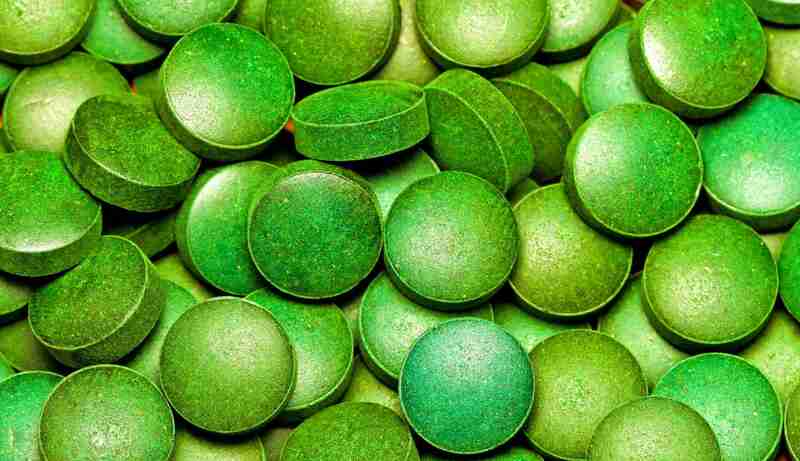 "Nutritional and therapeutic potential of Spirulina." Current pharmaceutical biotechnology 6.5 (2005): 373-379. 2. Miller, Michael, et al. "Triglycerides and cardiovascular disease a scientific statement from the American Heart Association." Circulation 123.20 (2011): 2292-2333. 4. Real, J. T., et al. "Importance of HDL cholesterol levels and the total/HDL cholesterol ratio as a risk factor for coronary heart disease in molecularly defined heterozygous familial hypercholesterolaemia." European heart journal 22.6 (2001): 465-471. 5. Jafri, Haseeb, Alawi A. Alsheikh-Ali, and Richard H. Karas. "Baseline and on-treatment high-density lipoprotein cholesterol and the risk of cancer in randomized controlled trials of lipid-altering therapy." Journal of the American College of Cardiology 55.25 (2010): 2846-2854. 6. Barter, Philip, et al. "HDL cholesterol, very low levels of LDL cholesterol, and cardiovascular events." New England Journal of Medicine 357.13 (2007): 1301-1310. 7. Germano, Giuseppe, et al. "European Guidelines on cardiovascular disease prevention in clinical practice (version 2012)." European Heart Journal 33 (2012): 1635-1701. 8. Neaton, James D., et al. "Serum cholesterol level and mortality findings for men screened in the Multiple Risk Factor Intervention Trial." Archives of internal medicine 152.7 (1992): 1490-1500. 9. Cromwell, William C., et al. "LDL particle number and risk of future cardiovascular disease in the Framingham Offspring Study—implications for LDL management." Journal of clinical lipidology 1.6 (2007): 583-592. 10. Torres-Duran, Patricia V., Aldo Ferreira-Hermosillo, and Marco A. Juarez-Oropeza. "Antihyperlipemic and antihypertensive effects of Spirulina maxima in an open sample of Mexican population: a preliminary report." Lipids Health Dis6.1 (2007): 33. 11. Nagaoka, Satoshi, et al. "A novel protein C-phycocyanin plays a crucial role in the hypocholesterolemic action of Spirulina platensis concentrate in rats." The Journal of nutrition 135.10 (2005): 2425-2430. 12. Mazokopakis, Elias E., et al. "The hypolipidaemic effects of Spirulina (Arthrospira platensis) supplementation in a Cretan population: a prospective study." Journal of the Science of Food and Agriculture 94.3 (2014): 432-437. 13. Torres-Durán, Patricia Victoria, et al. "Effect of Spirulina maxima on postprandial lipemia in young runners: a preliminary report." Journal of medicinal food 15.8 (2012): 753-757. 14. Folchini, F., et al. "Association of oxidative stress markers and C-reactive protein with multidimensional indexes in COPD." Chronic respiratory disease8.2 (2011): 101-108. 15. Abramson, Jerome L., et al. "Association between novel oxidative stress markers and C-reactive protein among adults without clinical coronary heart disease." Atherosclerosis 178.1 (2005): 115-121. 16. Kalafati, Maria, et al. "Ergogenic and antioxidant effects of spirulina supplementation in humans." Med Sci Sports Exerc 42.1 (2010): 142-51. 17. Lu, Hsueh-Kuan, et al. "Preventive effects of Spirulina platensis on skeletal muscle damage under exercise-induced oxidative stress." European journal of applied physiology 98.2 (2006): 220-226. 18. Parikh, Panam, Uliyar Mani, and Uma Iyer. "Role of Spirulina in the control of glycemia and lipidemia in type 2 diabetes mellitus." Journal of Medicinal Food4.4 (2001): 193-199. 19.Cingi, Cemal, et al. "The effects of spirulina on allergic rhinitis." European Archives of Oto-Rhino-Laryngology 265.10 (2008): 1219-1223.